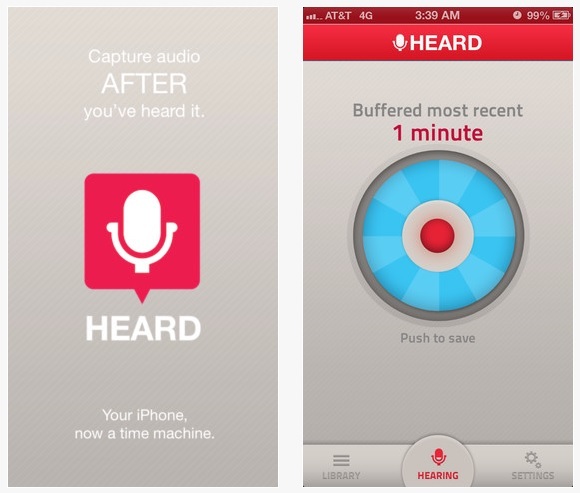 There is a new smart phone app called Heard that automatically records everything within range of the phone's microphone. It stores the audio in memory for five minutes and then erases it unless the user chooses to save it. Think of it as carrying around your own National Security Agency in your pocket. I suggest using it while wearing a t-shirt that says, "This conversation may be recorded." That will give any government employee you interact with fair warning.